I love having lots of different attachments for our playset that I can just switch out. 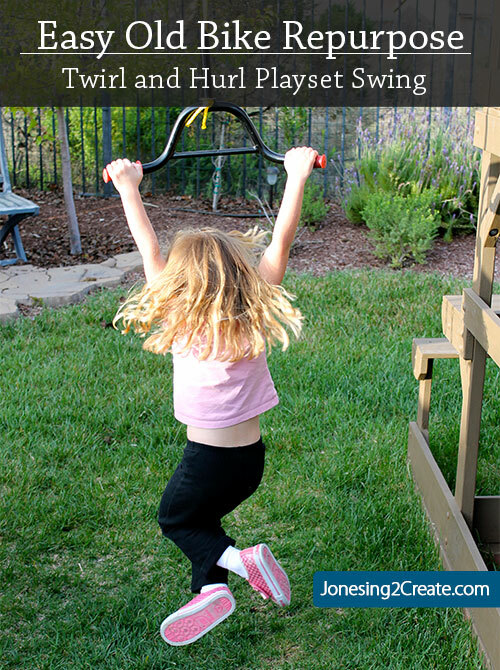 It keeps the playset new and interesting for the kids with very little work or storage costs. I knew my kids would love this and realized that I could make basically the same thing out of my son’s old bike. My mom dubbed it the “Twirl and Hurl” when she saw my kids spinning like crazy on it. It is INSANE how fast they can get spinning on this! It was super easy to do. 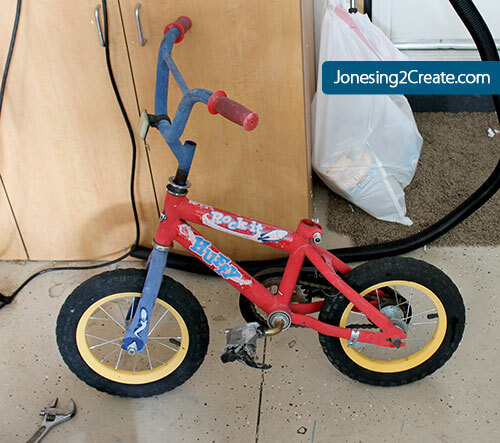 My son’s old bike was a rusty mess and belonged in the trash. So before I threw it away, I took off the handle bars. They were a little rusted on, so it took some work. I was finally able to dislodge them by sticking a screwdriver down the hole and hitting it with a hammer. Who says that hitting things with a hammer doesn’t work?!? I treated the rust, taped off the grips, and then spray painted it. 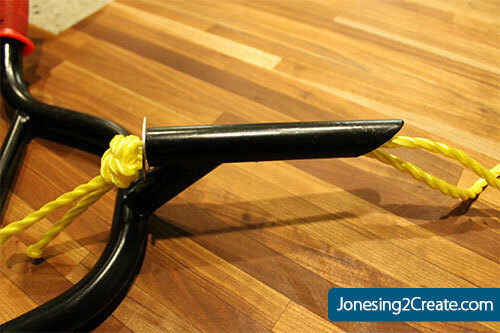 Once the handlebars were dry, I folded a piece of rope and threaded the two loose ends down the middle of the pipe. I secured it with knot and a washer on the other end so it wouldn’t slip out. 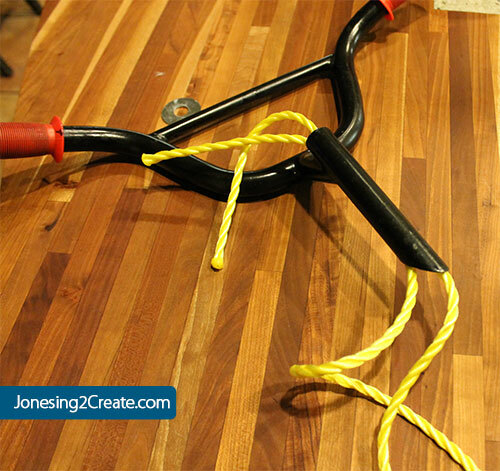 You will want to use a rope that doesn’t fray easily. 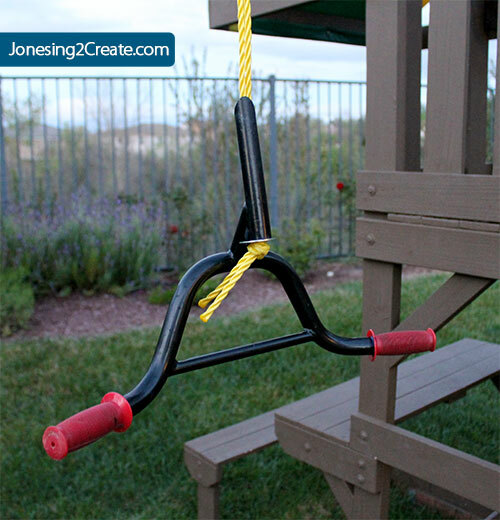 I then attached it to the swing set using a short chain. You can also use some threaded links. I found these super cheap on Amazon. You can find the instructions in the blog post, but be sure to let me know if you have any specific questions. 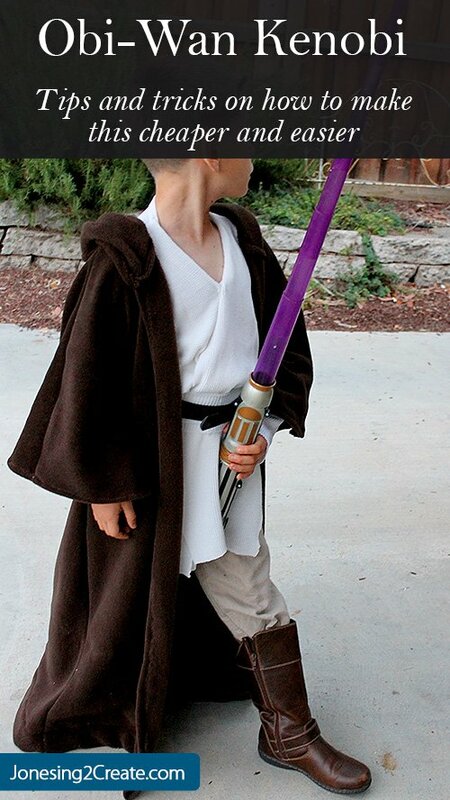 I made this about two years ago and my kids are still on it all the time. It is so much fun!